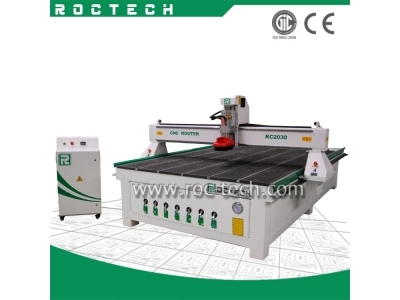 China 3 AXIS CNC ROUTER WOODWORKING RC2030 Manufacturers ,3 AXIS CNC ROUTER WOODWORKING RC2030 Suppliers Directory - Find a 3 AXIS CNC ROUTER WOODWORKING RC2030 Manufacturer and Supplier. 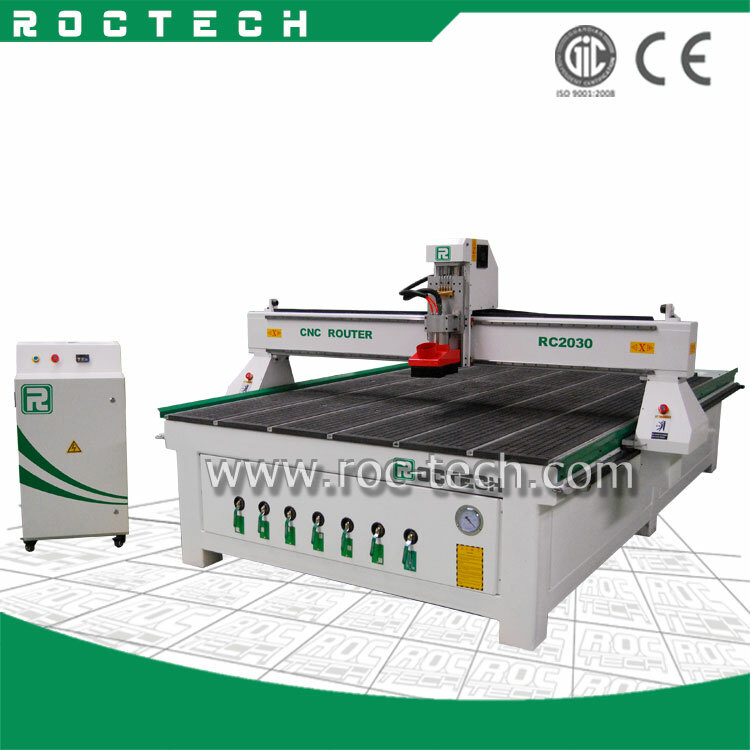 Choose Quality 3 AXIS CNC ROUTER WOODWORKING RC2030 Manufacturers, Suppliers, Exporters at ROCTECH CNC router. indoor decoration, and it is qualified for mass- producing of furniture with the Vacuum holding way and dust collector. machine in the best condition even after working for many years. 1) With 8mm thick steel tube, the machine’s body is strong, high-precision, reliable and durable. 2) Imported high-precision ball screw ensures the machine’s high precision and smooth movement. 3) Well-known HSD spindle, strong cutting ability, low noise, to ensure the machine working for long time. 4) High-performance driven motor to ensure the machine’s high speed and accuracy. 6) Auto lubrication system and separated control system, easy to operate. 7) Perfect design, top quality accessories, to minimize the machine’s failure rate. 1). The machine is guaranteed for 12 months. 3). Friendly English version manual and operation video CD disk.